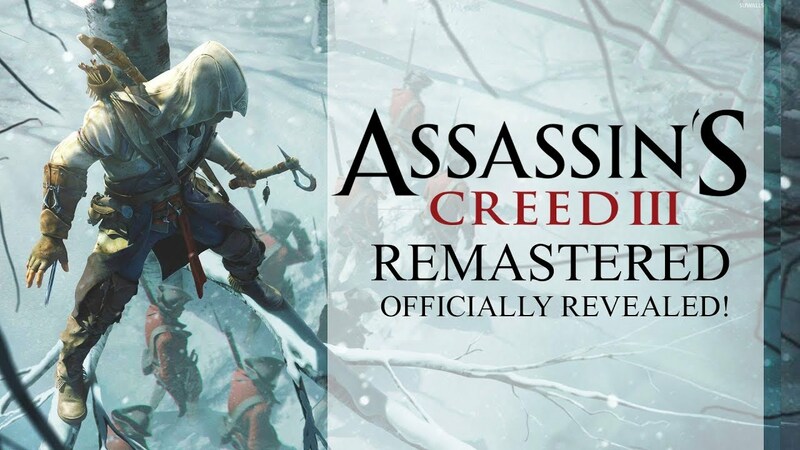 Assassins Creed (AC) 3 Remastered has received an official release date by Ubisoft and we are surprisingly happy to hear that the game will contain some new features. Another good news is that Assassins Creed 3 Remastered is also getting fresh updates for the Switch version. Now you’ll be able to enjoy the game on Nintendo’s console thanks to their unique features. Ubisoft has revealed all the new information about AC 3 Remastered in their March Monthly Update for Assassins Creed Odyssey. Developers at the Ubisoft also said that they were keen to design a game that will give users a new visual experience as well as an improved gameplay environment. Its more like they are trying to create “better balance between action and stealth” in the remastered version. The original Assassins Creed 3 was a huge success in its days and it won’t be easy for Ubisoft to keep the game true on the same path. Especially, when the audience are expecting so much from the newer version with Assassins Creed Odyssey as a finest example. There will be several new features in Assassins Creed 3 Remastered like performing Double Assassination will be easier and you’ll be able to attract guards using whistling from the bushes too. This feature was limited to “behind cover” in the old version. Another new thing that has been is Free-aiming long-range weapons. In the previous, you could not aim at will with the guns and this feature was later added in Black Flag. But now the remastered version will come with this addition. There are some other brand-new features as well like “additional weapons for crafting” and a User Interface that will allow color-blind settings. Also, you’ll be able to dress as Assassins Creed Origin’s Bayek and Assassins Creed Odyssey’s Alexios by using Legacy outfits. There are also some updates for the Switch version. Gameplay style has been updated a little bit. Touch screen feature has been added for Switch version. Players will get help from aim-assist while controlling long range weapons. Assassins Creed 3 Remastered is scheduled to release on 29th of this month for PC, Xbox One and Play Station. Switch players will get the a little late on May 21. Are you excited to play the new Assassins Creed 3 and what are your thoughts about the improvements? Do tell us in the comments section below.